Full Spectrum CBD Capsule; Consuming CBD everyday has plenty of benefits. Even better, taking it in the form of a Full-spec CBD pill is a super convenient way to do it! 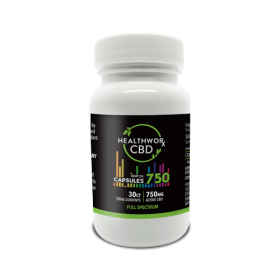 Many consider these the best CBD capsules. They are the ultimate form of pure cannabinoids. Our CBD Capsules for Sale have an exact amount of CBD in them. This helps to get rid of the risk of over intake of CBD Hemp Oil Capsules. In addition, full spectrum CBD may help to lower your levels of anxiety, stress, diabetes, nausea, and pain in a natural and effective way. Browse through our collection of CBD capsules for sale. The full Spectrum CBD Capsule with MCT Coconut Oil are an amazing combination of two of Nature’s most classic superfoods! Fortunately, the ingredients of our Full Spectrum CBD Capsule is simple and clean. The list couldn’t be shorter! Wondering how to use the Full Spectrum CBD Capsule? Luckily, there are very few steps to remember. In addition, it couldn’t be easier to take your full-spec CBD pills every day. That’s the main reason many people opt for CBD Hemp Oil Capsules over any other form of CBD. Why correct it? There’s a huge reason why you should work to get your Full Spectrum CBD Capsule dosage right! An incorrect dosage will mar the entire CBD experience. In fact, if you’ve tried full-spec CBD but didn’t think it worked for you, this is likely the primary reason why it is not working for you!